Forging materials creates a wide variety of shapes and sizes, and it remains the preferred method for individual forging. Hammering metal has a 4,000 year old history, and its purpose is still to change the shape and properties of metal into useful tools. 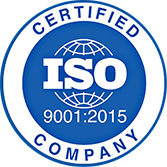 Anderson Shumaker’s open die forging processes result in metallurgical soundness and improved mechanical properties. Strength, toughness, and general durability depend on the grain placement, and hammer forging can produce a high degree of grain refinement. Contact us with your forging project for a quick quote today! Forging is divided into three main methods: hammer, press, and rolled types. 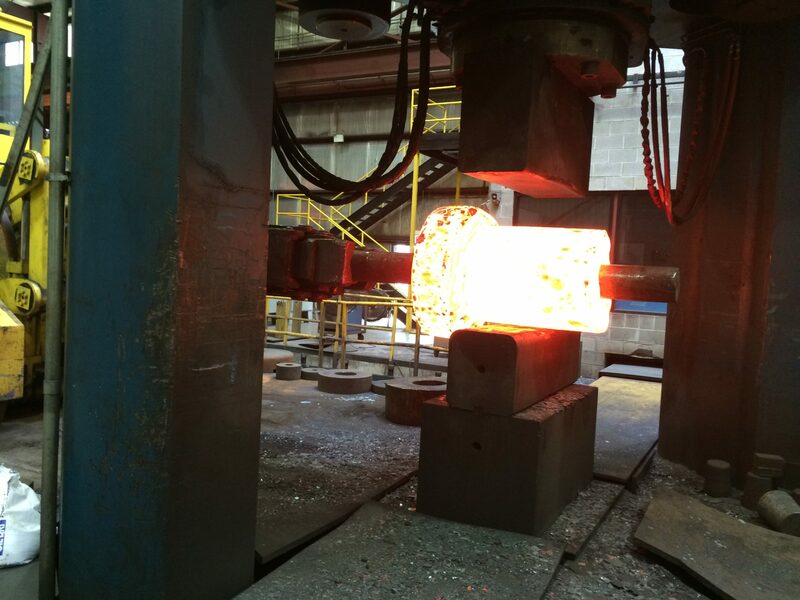 Hammer forging is the preferred method for individual forgings. In this method, the material is shaped by an instantaneous application of pressure to a relatival small area. A hammer or ram delivers intermittent blows to the forged section, applying the necessary pressure. To achieve this, the hammer is dropped from its maximum height, and usually raised by steam or air pressure. 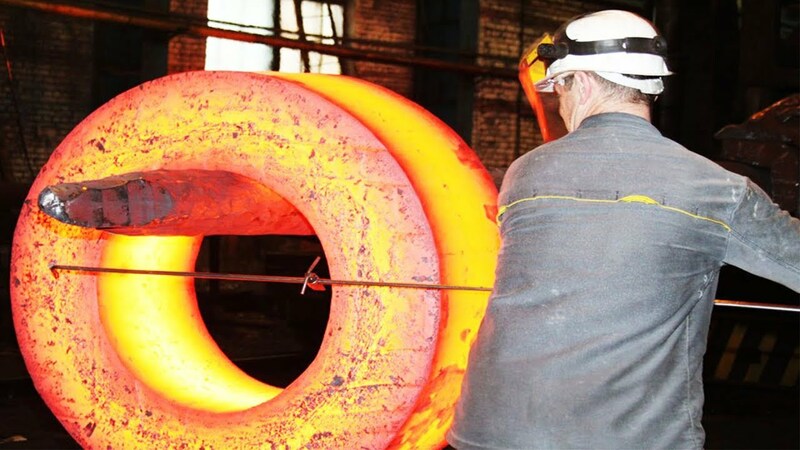 Hammer forging can product a variety of shapes and sizes, and if sufficiently reduced, it can simultaneously create a high degree of grain refinement. Finish machining often accompanies hammer forging, as close dimensional tolerances cannot be obtained with this method alone. Press forging is similar to kneading in which a slow and continuous pressure is applied to the forged area. The pressure extends deep into the material, and this process can be done cold or hot. Cold press forging is used on thin, annealed materials, while hot press forging is used on large work such as armor plating, locomotives, and heavy machinery. Press forging offers economical advantages on high-production numbers, as closer tolerances can be obtained. This method can also be used to create larger forgings, and there is no limit to the size of the machine. Open die forging, also known as free forging, is when the piece of metal is deformed between multiple dies that do not enclose the metal entirely. The dies hammer and stamp the metal through a series of movements to alter its dimensions until the desired shape is achieved. Closed die forging, also known as impression forging, utilizes pressure to compress the metal piece to fill an enclosed die impression. A medium frequency induction heating furnace is used to heat the metal to get the desired shapes. As the dies press together, the material is forced to fill the impressions, and the excess metal (flash) is squeezed out. Die forging is the best method to meet tolerances, and results in finished parts that are completely filled and produced with the least amount of flashing. 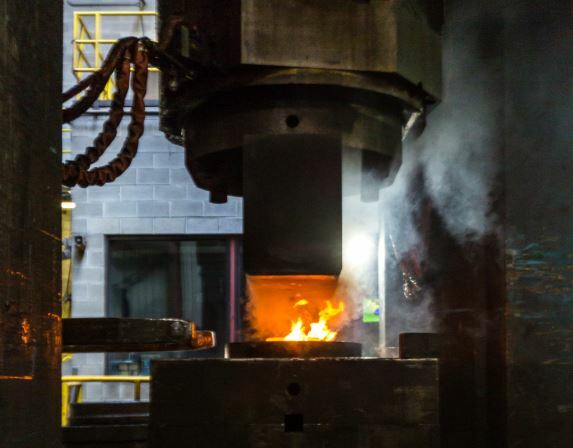 Open-die forging offers better fatigue resistance and improved microstructure, continuous grain flow and fine grain size, increased strength, less material waste, reduced chance of voids, and cost savings. Closed-die forging offers better surface finish, no material limitation, is economic for large product runs, allows tighter tolerances and net shapes to be achieved, and the internal grain structure formation increases the product’s tightness and strength.